Much like Ko Pha Ngan, Ko Tao is serviced by almost everything. Various ferries depart daily from Chomphon and Surat Thani, and there are numerous inter-island ferries to get you to Ko Tao from Ko Pha Ngan and neighboring Ko Samui. Check out http://kohtao.sawadee.com/kohtao_transfer.html for more details. Hit the beach. 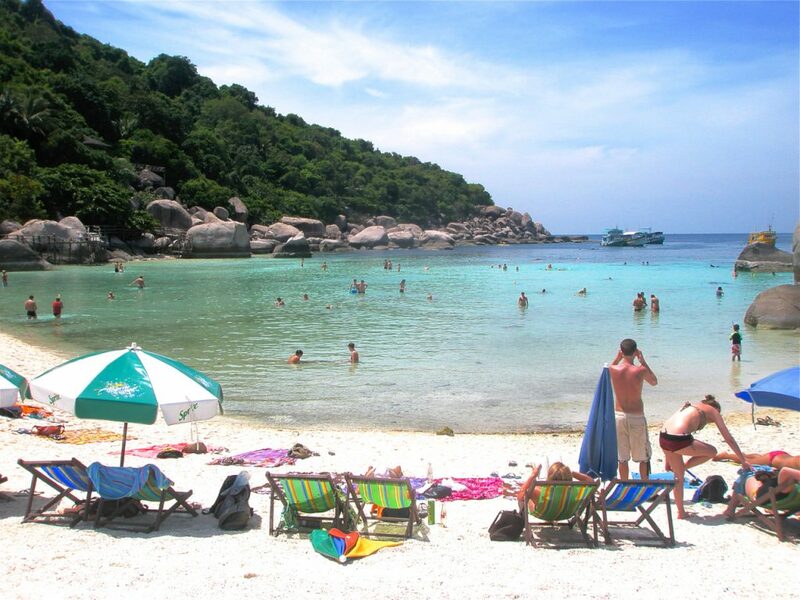 Ko Tao is smaller than Ko Pha Ngan, and similarly has numerous secluded beaches hidden all around the island. Go exploring and find your own private beach for the day. Take a cruise- local boats are for hire just off the beach. 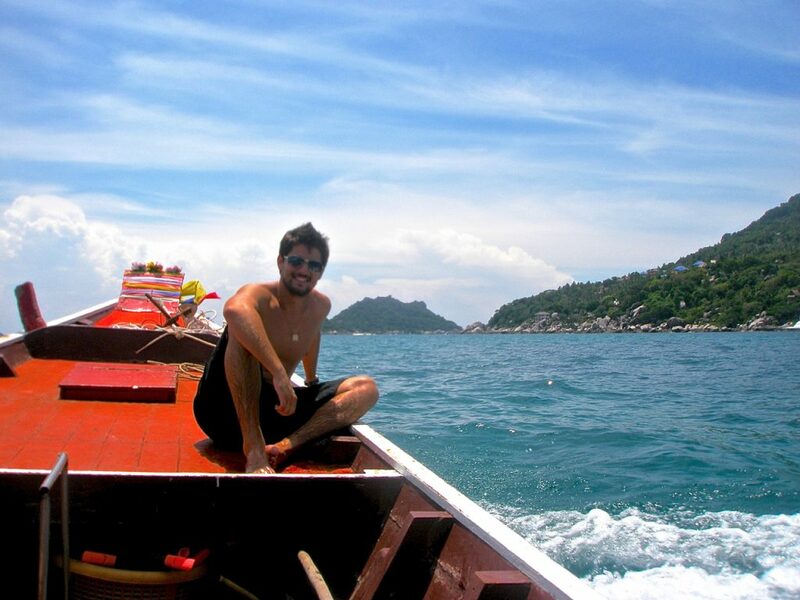 They can take you to any beach on the island, as well as to a handful of other destinations just off Ko Tao. They’re great for going on a pleasure cruise to see the rest of the island. 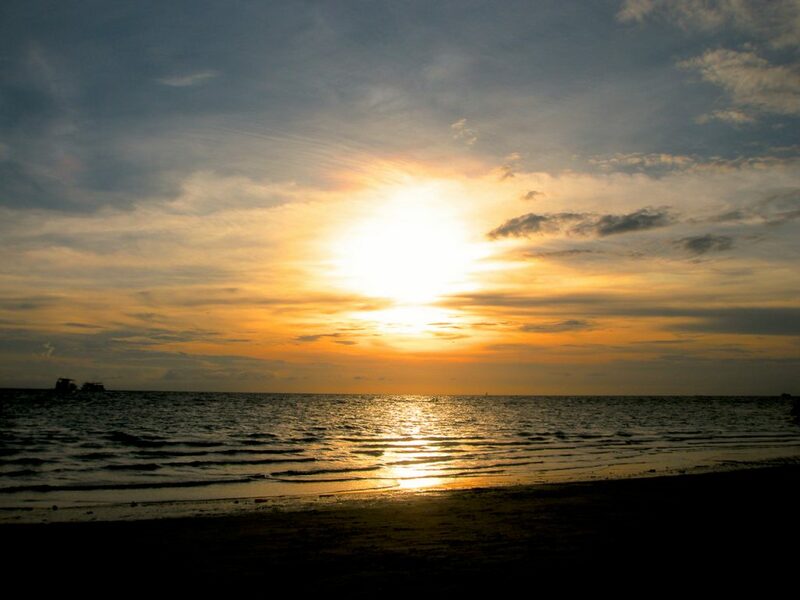 Take in the sunset- sundowners along Sairee Beach are a must- stunning sunsets over amazing cocktails on the beach in Thailand- a SE Asian STAPLE. DIVE- this seems to be what EVERYBODY is doing in Ko Tao. 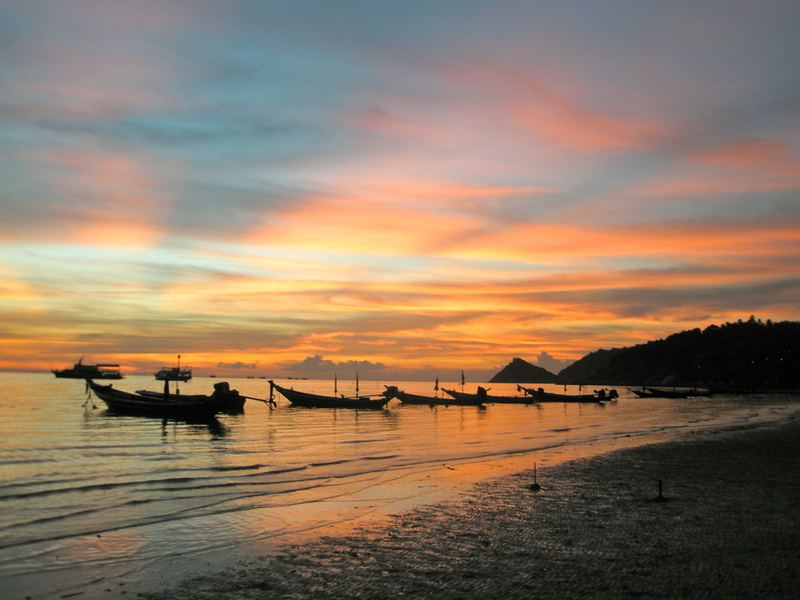 If you’re already certified, hunt up a local dive shop and check out some of the premier dive sites in all of Thailand. If you want to get certified, find the best deal for your purposes, and get amongst it. The diving in Ko Tao is AMAZING. If scuba isn’t your thing, book a day-long snorkel trip, and you’ll still get to see some of the most incredible sea life in the country. Shop around- as mentioned above, almost every resort, hotel, hostel, and bungalow has some sort of special on for signing up for a dive course. Decide what you want to do, compare prices and deals at several shops, and get the best deal you can. There are a few ‘Private Resorts’ just off the beach that you can pay to go to for the day. Snorkel gear is typically included in the cost of admission. Hire a local water taxi for a ride, and enjoy a day on your own ‘private’ beach. Try the ‘pancakes’- another STAPLE in SE Asia, these ‘pancakes’ are a Thai crepe, stuffed with whatever you want to stuff it with. ‘Pancake, Pancake! Very gooood! Very niiiiice!’- a common refrain when walking along the main path after sunset. Late at night, they’re irresistible.